In his latest literary offering, World’s Best, Ric Charlesworth gives us a clear understanding of what makes players and teams – not just hockey teams – exceptional. It is this quest for ‘exceptionality’ that Charlesworth meticulously and unfl inchingly deconstructs, creating a picture where every piece of the jigsaw – whether it’s tactics, determination, team culture or simply brilliant skills – plays its role in creating a masterpiece. 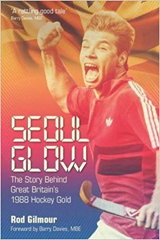 Drawing on impossibly rich experiences in the sporting fi eld, Charlesworth transports the reader on a fascinating and at times heartbreaking journey of success and failure. 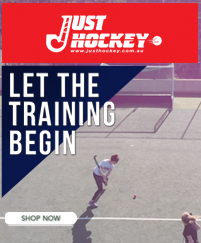 From the disappointment of the Kookaburras 2012 London Olympics campaign to the soaring elation of winning the World Cup in The Hague two years later through to the sustained brilliance of the Hockeyroos, World’s Best masterfully plots hockey’s evolution in eloquent detail. Charlesworth’s record is unsurpassed by any other coach or team in the history of the sport, a giant of sporting achievement, success and innovation. As with everything this favourite son of WA has done he has given us yet another piece of brilliance – a truly exceptional Australian. Australia’s men’s and women’s hockey teams have had phenomenal success with Ric Charlesworth at the helm as coach. He was also at the vanguard of successes as a player. In World’s Best, the sequel to his best seller The Coach, Charlesworth captivates the reader with his unique and extraordinary insight into what shapes world champions. This is a vital book for aficionados of any sport but in particular one that has brought this nation so much pride and joy.